DEFT 7.1 is my current “Live CD” of choice. Based on Ubuntu, DEFT is constantly updated to include the newest drivers (it even installed my 3rd party ExpressCard USB 3.0 port), allows commands to be executed to customize the kernel before starting the GUI, and has almost every open source tool that I use for digital forensics. My only complaints were how long it took to load and the response time once it was in the GUI. These complaints were directly connected to DEFT running on a DVD; the OS had to constantly task back and forth from the DVD, which made it crawl sometimes. So, I went on a hunt to install it onto a flash drive, thinking it would be a long and arduous task. I thought wrong. 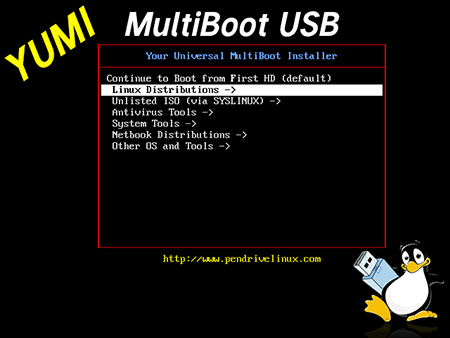 Pendrivelinux.com already had installers built to run Linux distributions straight off a flash drive. And one of those distributions was DEFT 7.1. Not only that, but there was one called Your Universal Multiboot Installer (YUMI) that allowed me to choose from multiple builds at startup. Installation onto the USB flash drive took just a few minutes, and now my boot-up time in DEFT 7.1 is 5 times faster. Plus, the GUI never intermittently crawls like it used to on DVD. In addition, I can also choose from other builds I installed onto the flash drive, such as BackTrack, Clonezilla, and a number of others. I don’t even boot off my hard drive anymore – I just use YUMI installed on my USB flash drive. I highly recommend this for digital forensics, penetration testing, anti-virus cleaning, data recovery, and too much else to name.